Volunteer collective creating content and programming to support student engagement and learning. GCC Programming will bring hands-on workshops and content to help undergrads learn about important issues and how they can make a difference. 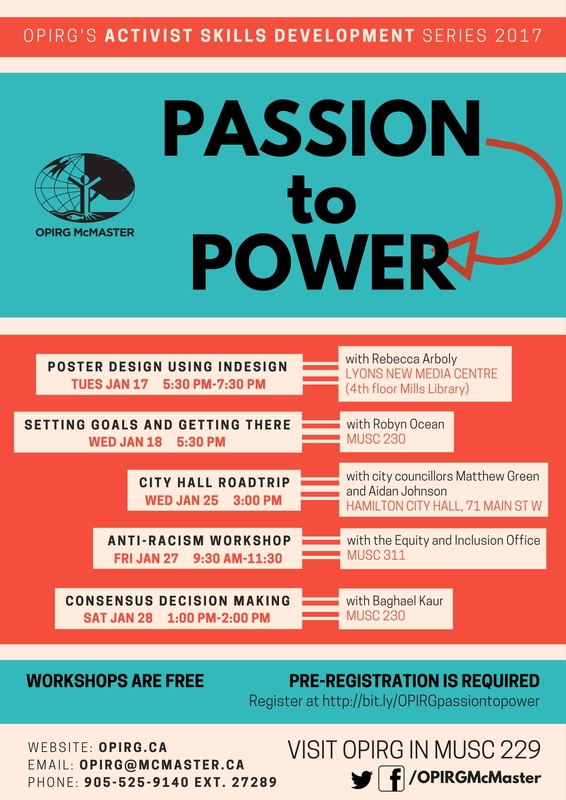 Check out Power Your Passion for Public Interest Action workshops! All events are free for OPIRG members, but you must register in advance. This activist skills development series was created to help students and community members prepare to take action on issues in the public interest. Training is provided by community members on a variety of topics, from consensus decision-making to publicity and promotions and much more. 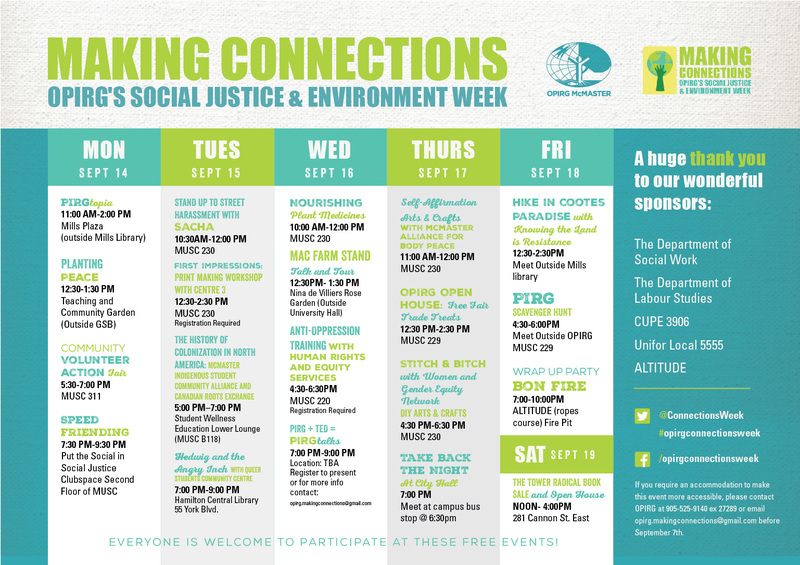 Making Connections Week is OPIRG McMaster’s Social Justice and Environment Week. The event runs in annually September, at the beginning of the academic year, and is also known as McMaster’s Alternative Welcome Week. The goal of Making Connections is to highlight environmental and social justice issues, both locally and globally. These issues are significant and require engaged people from all backgrounds, skills and abilities. It is also an opportunity to connect McMaster students — from first year to graduate school — with Hamilton community members. Everyone is welcome to participate. The resource centre offers a wide variety of fair trade products, from chocolate and coffee to handmade woven baskets. We also host an annual Fair Trade Fest each November. Time-lapse video from our Power Your Passion workshops: this one featuring a scrum board to organize and track a project.